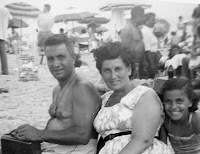 My mom and dad would take us to the beach in Coney Island during the summer. It was quite a trip, because we had to take the El train to get there...but, it was worth it. The smell of the ocean, the feel of the sand and a picnic lunch (sandwiches). But most of all, I loved to collect the sea shells along the beach. My mom always made spaghetti with clam sauce during the summer months. I think it was her way of bringing a little bit of the beach back home with us. We would eat outside on a picnic table in our backyard which was directly under Poppa Sal's grapevine. Mom would bring out a huge bowl of spaghetti and clams with crusty Italian bread for sopping up the sauce. Delicious. This recipe is one that I enjoy making because it quick, easy and very tasty. Rinse clams in cold water, discard any broken or open clams. Add clams to pot, reduce heat to medium/high and cover. Steam clams for about 8 minutes or until all the clams are opened. Add remaining stick of butter. Pour the butter sauce over spaghetti. Sprinkle with red pepper flakes and grated Parmesan cheese. 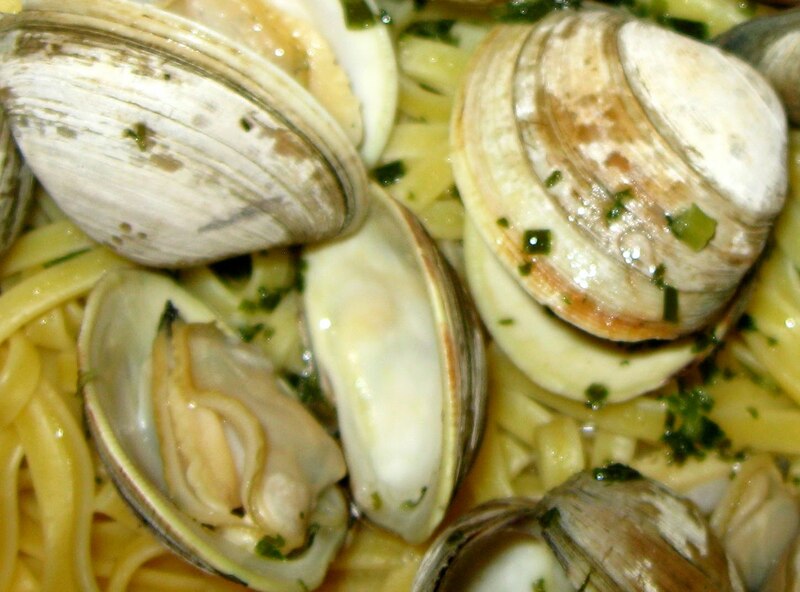 Place clams on top of pasta and serve. Don't forget the bread. This recipe turned out to be a huge hit for me on V-Day...Thanks again E!